Your plants need pruning to keep them healthy and looking great, but when you want to prune in the fall, what do you need to know so you aren't hurting your plants? 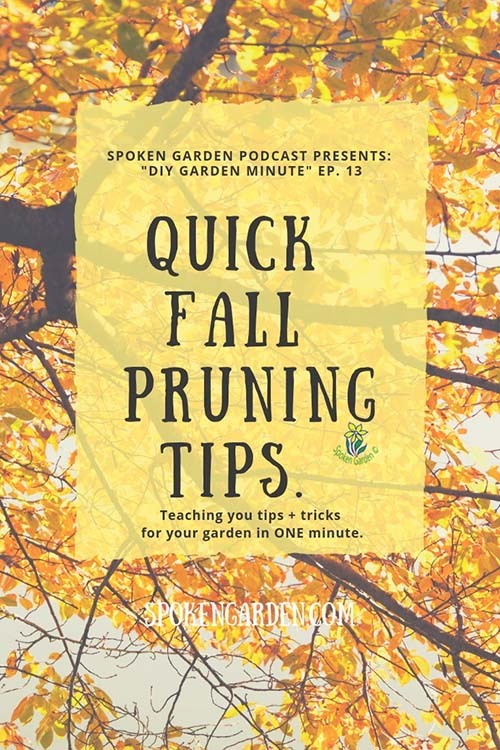 In "Quick Fall Pruning Tips," we'll teach you the right way to prune for the best health of the plant. Of the many garden maintenance tasks you will need to consider this fall, how best to prune your plants is probably at the top of your list. With our tips, based on our "3 Pillars of Pruning©", we'll teach you the right way to prune and how best to avoid pruning fails. Listen to our quick segment on this "DIY Garden Minute" to learn about these tips. 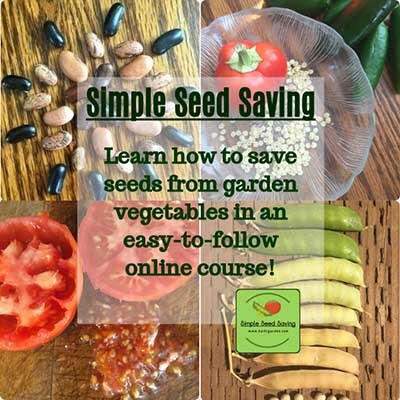 Start collecting your garden vegetable seeds by following this easy-to-follow online course with downloadable reference charts and the course never expires because you have lifetime access! Best of all the condensed information of the course can be quickly completed in an afternoon. Save "Quick Fall Pruning Tips" to Pinterest for later! Learn what you should prune now vs. what you should leave alone. Tips for the reasons to prune certain plants now. How to apply the "3 Pillars of Pruning" to the fall season. How not to harm next year's spring growth.